A gremlin is a small, pesky spirit that first appeared in British military aircraft during World War I. Royal Air Force pilots sent out on dangerous missions reported seeing misty, goblinlike spirits in their aircraft. The pilots named them “gremlins.” Nothing public was said about them until 1922, perhaps out of superstitious belief that it might be bad luck to acknowledge the spirits. The term “gremlin,” after Grimm’s Fairy Tales, came into popular usage in 1939 during World War II, when a British bomber squadron in India suffered numerous incidents of seeming sabotage to their craft. Gremlins have since expanded their presence to military and civilian aircraft elsewhere around the world. 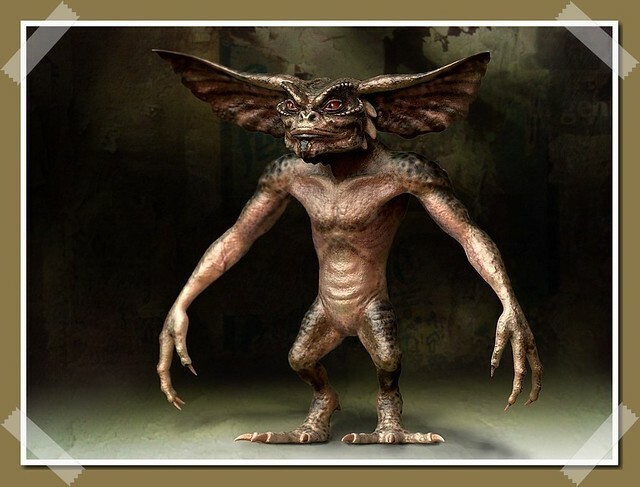 Gremlins seem to be friendly in nature, though they are wont to play poltergeist-like pranks upon crew. They are ascribed great knowledge of technology, meteorology, engineering and aerodynamics. They have been said to drink fuel, bore holes in the aircraft, bite through cables, sever fuel lines, slash wings with invisible scissors, and punch and pinch gunners and bombardiers as they line targets up in their sights. They have been blamed for poor landings by pilots. On the other hand, they also have been credited with helping pilots to fly badly damaged aircraft to safety. Gremlins also have been reported to appear in factories. They perhaps may be modern, high-tech versions of Brownies, Kobolds, Domoviks, BLUE-CAPS, and other such spirits who, according to lore, like to live among humans and keep them alert. Various descriptions have been given of gremlins. During World War II, some were said to be six inches tall with horns and black leather suction boots, while others looked like a cross between a jack rabbit and a bull terrier. Still others were humanoid and about one foot tall, wearing ruffled red jackets and green breeches. Some had webbed feet with fi ns on the heels. When Charles Lindbergh made his historic solo flight across the Atlantic Ocean in 1927, he reportedly saw spirits in his cabin that may have been gremlins or gremlin-like. By the ninth hour of his journey, which took thirty-three and one-half hours, Lindbergh became fatigued and began to feel detached from his surroundings. He became aware that the fuselage was filled with vaporous forms that moved freely about. They spoke in friendly voices and discussed navigation. They reassured him of his safety and also imparted, he said, information of a mystical nature. Lindbergh did not reveal his strange experiences until the publication of his book The Spirit of St. Louis, in 1953. Cases have been recorded of gremlinlike voices speaking audibly to civilian pilots, delivering instructions to turn, land, change course, and so on, in order to avert unforeseen disasters. Compare to Knocker. Caidin, Martin. Ghosts of the Air: True Stories of Aerial Hauntings. New York: Bantam Books, 1991. Guiley, Rosemary Ellen. Harper’s Encyclopedia of Mystical and Paranormal Experience. San Francisco: Harper San- Francisco, 1991. Haining, Peter. A Dictionary of Ghost Lore. Englewood Cliffs, N.J.: Prentice-Hall, 1984. Leach, Maria, and Jerome Fried, eds. Funk & Wagnalls Standard Dictionary of Folklore, Mythology, and Legend. San Francisco: Harper & Row, 1979.